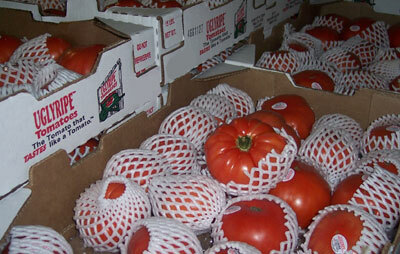 Ugli Ripes and Vintage Ripes tomatoes are now being inspected in Florida, and are partially exempted from meeting the Marketing Order requirements. Simply put, the tomatoes must meet the requirements of the U.S. No. 2 Grade, except they may be misshapen and they may be slightly rough (as compared with the shoulders being smooth). Bottom line, if the tomaotes arrive with some problems, such as soft, decay, sunken discolored areas, etc., you can request a Federal Inspection and the tomatoes still must meet those tolerances of the grade requirements. 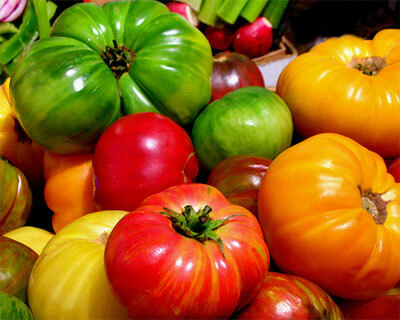 Ignore the shape issues and the ridges commonly found on these tomatoes….as they are not defects. these tomatoes are not only ugly, but I personally don’t think they taste all that great.